Here is the links for earthquake information seeking foreigners in Japan. If find/know the related person, please transfer the followings. Thank you for the many messages, it encourage us. If want to contact the person who living earthquake occurring area in Japan, the following service reliable and helpful at the moment. 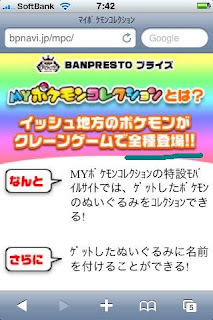 Because NTT (Nippon Telegraph and Telephone Corporation) telephone voice call connection is only working in the areas, especially Miyagi, Iwate areas etc, not yet recovered the data packet/mobile connection (no Internet, no skype, no data call). 2.Message recording from what ? 3. Message retrive from where/what ? If you find the related person who want to contact to these areas, please transfer this. 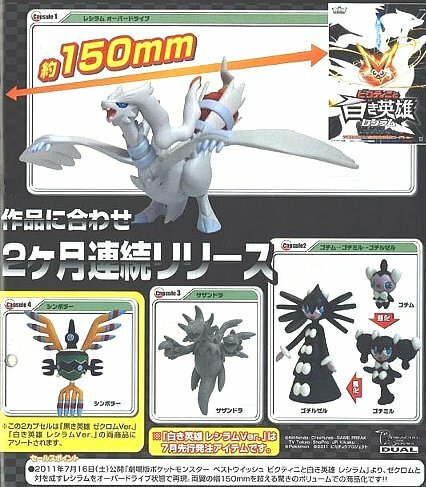 Bandai will release the following Pokemon Squirt Gun (water out) BW on 11 May 2011. Candy toys. As for the previous released lines, please refer to this post. DP3 was released in December 2009, shown as follow. As for previous info on MPC, please read these posts. 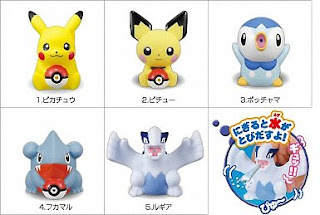 Updated following previous post, uploaded pics for Suicune, Plusle, Minun, Latias, Latios, Bulbasau, Regice, Kyogre, Groudon and Rayquaza for your trading and hunting :D Movie 2009 and 2010 clear figures will be updated soon. Photos are uploaded to the following previous posts. 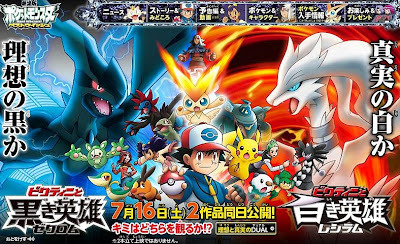 BTW, new Pokemon manga (ReBURST) in weekly Shonen Sunday magazine has already run. Hero (person) transforms to Pokemon ! Glance is here, thanks for the info to shellspider's blog. As I tweeted this in the morning, PokeCenJP releases the following Pokedoll on 5 Mar 2011. 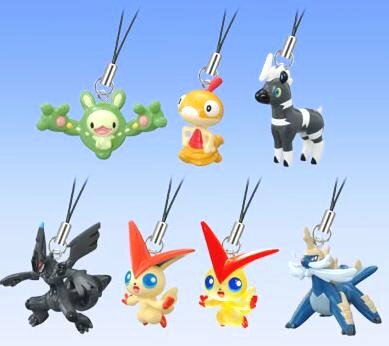 So far PokeCenJP does not announce them officially. If you want to see some more, please see pic#1, pic#2 and pic#3. 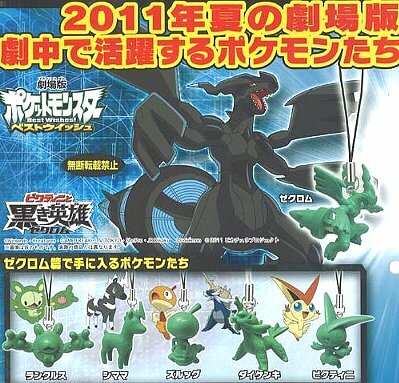 Bandai will release the following Pokemon Figure Strap BW movie version in June and July 2011respectively. 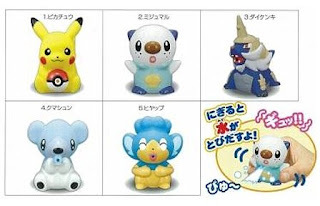 6 figures have translucent version, capsule toys, random assort. As for previous BW set, please refer to this post. 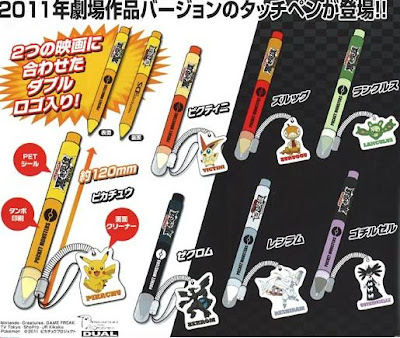 Takara Tomy ARTS (TTA) will release the following Pokemon DS Touch Pen BW movie 2011 version in the middle of June 2011, gashapon toys, lenght : 12cm. Includes DS cleaner. 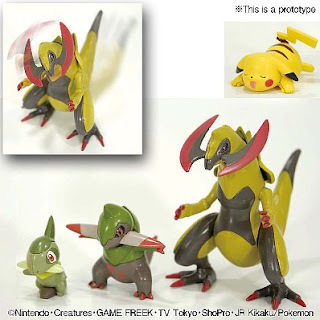 Takara Tomy ARTS (TTA) will release the following Pokemon figure Zukan set in June and July 2011 respectively. Will replace the photos later. BTW, Zukan BW 02 releasing will be delayed usual, to the beginning of April 2011. 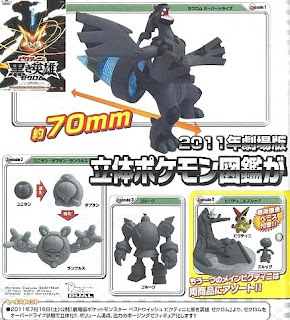 Bandai will release Pokemon Plamo Collection Haxorus Evolution Set in April 2011, includes Pikachu as well. 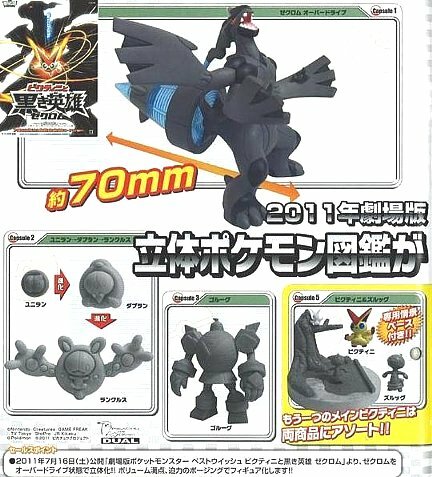 This set is plastic model DIY kit. As for other evolution set, please refer to the previous posts. Thanks for the info to livejournal@jayceanime. Pokemon TV variety program OhaSuta aired the new trailer this morning in Japan. Simultaneously movie official site is updated, we can see the same trailer of OhaSta and position/role of yesterday unidentifiable persons (characters) in the poster as well. Position/role of characters as follow. Dored : He is a descendant of the 'sons of earth', wanders around in the wilderness for seeking other peoples of the 'sons of earth', he purposes to revive a sons of earth kingdom. Mo-monto : Mayor of Antiork. 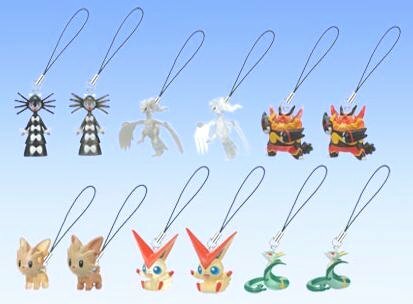 He also knows a tradition (tale) of Victini. Sponsor of harvest festival battle contest. Dored : He is a descendant of the 'sons of earth', wanders around in the ice field for seeking other peoples of the 'sons of earth', he purposes to revive a sons of earth kingdom. Kaleeta, Jenta, Mo-monto : Same as The Black Hero (refer to the above). Here is a new poster. 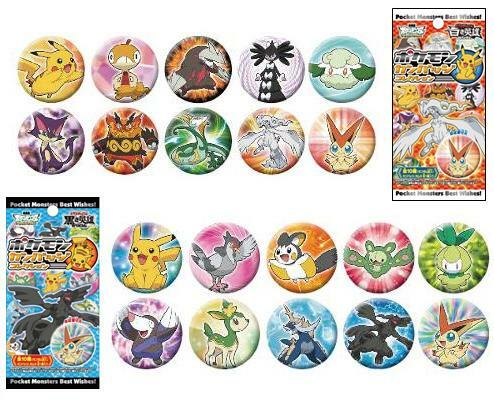 Media Factory will releases the following Pokemon Can Badge Collection BW 2 on 17 May 2011. 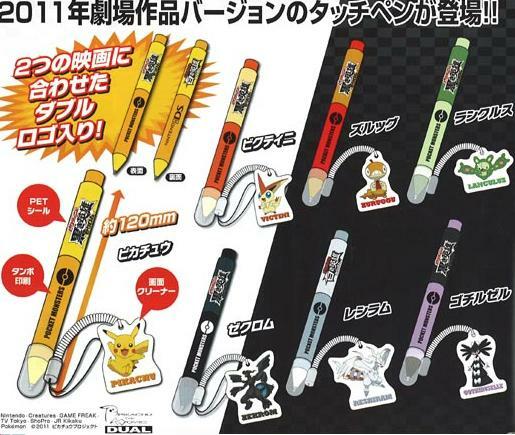 Candy Toys, 2 kind of packages. A package contains one candy and one badge (random assorts). Just now backed from the place where unstable network area. Sorry about no updating. Many to be posted news are on the queue. Let me post this info first. 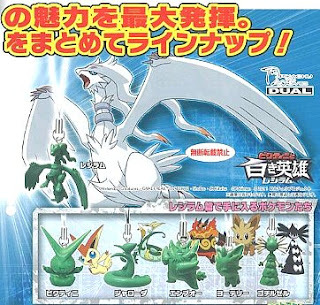 Bessatsu (separate volume) CoroCoro April is published from Shogakukan yesterday. In freebie of it, the movie poster as follow. We can see the following things. No info on the persons (characters) in the movie at the moment. 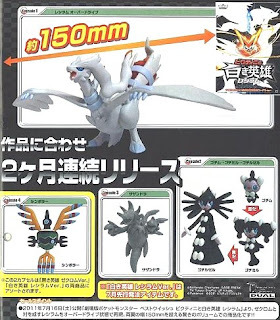 After buying CoroCoro, will post more info and clear scanning image tomorrow.